The Power Generation is our new addition to the game – a support card to help you generate more energy for those big cards. You can unlock it on Warzone 5. 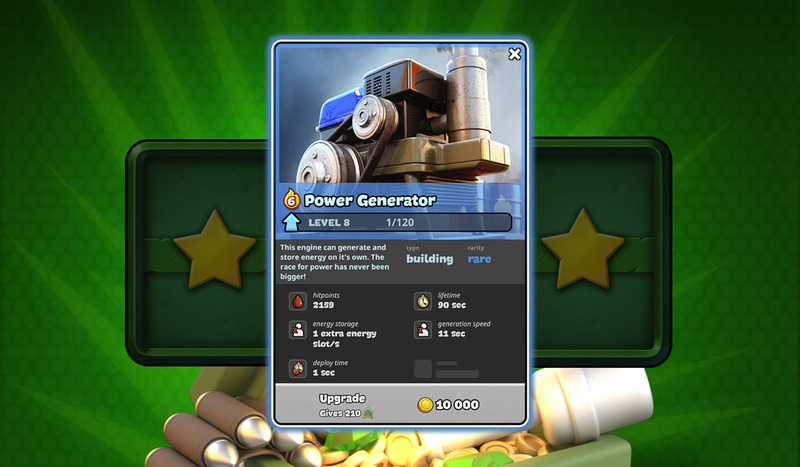 It is a Rare and costs 6 to deploy, but it will generate 8 energy in total, plus it can increase the max capacity of your energy cap!